Sacraments are our way of encountering the life and love of our God through signs and symbols. They reveal the mysteries of Christ and our Church. Taken together, they reveal to us God's love made real for us, calling us to deeper and more meaningful life. We, as Catholics, believe in seven sacraments. From the Sacraments of Initiation (Baptism, Confirmation, Eucharist) to the Sacraments of Vocation and Commitment (Marriage, Holy Orders) to the Sacraments of Healing (Reconciliation/Confession, Anointing of the Sick), these signs of grace give us life, purpose, and salvation. They are both signs and causes of our communion with God and with one another. Sacraments can bring us closer to God and to one another. Sacraments, in the traditional definition, remind us they are visible signs of an invisible reality. They appeal to our senses and give us that which brings us life — the very presence of God. 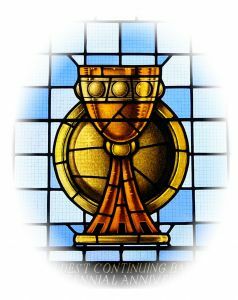 God's grace is God's love, which is poured out freely for us in the life of Christ, who has given us these sacraments. The Sacraments are important to us here at St. Charles because they help us in our life as followers of Christ and lead us to deeper and more meaningful life as we encounter our living God in the signs and symbols, and in one another.